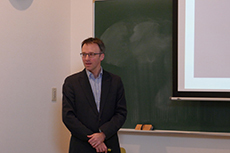 On Friday, January 25, a Department seminar (Zasshikai Seminar) as held with a lecture by Prof. Hans Jakob Wörner of Laboratory of Physical Chemistry, ETH Zurich by the title, "Probing molecular chirality on femtosecond and attosecond time scales." 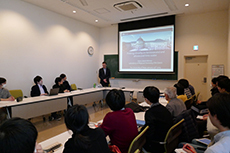 Prof. Wörner visited the University of Tokyo to attend the 3rd ETH Zurich-UTokyo Strategic Partnership Symposium on the UN Sustainable Development Goals and Innovation, held during January 21 and 22 at Chemistry Auditorium, where he gave an invited talk. 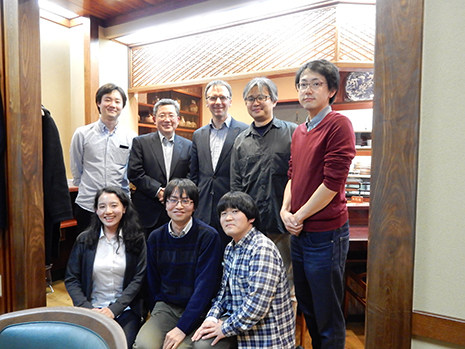 Prof. Wörner on this occasion gave a talk at the Department seminar and visited Prof. Yamanouchi and his group to hold discussions on the joint project with Yamanouchi group.